The UU Urban Ministry invites you to join us the final thought-provoking discussion about Urban Renewal Then, Gentrification on low-income communities, featuring State Representative Byron Rushing. This event is co-sponsored by the Roxbury Historical Society Space is limited. 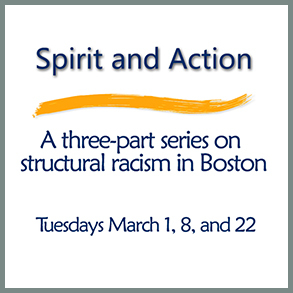 To register, click here or call 617-318-6010 x 214. Childcare provided upon request. 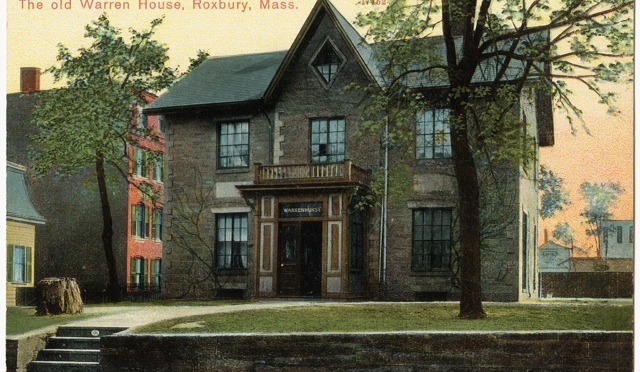 The Roxbury History Speaker Series is free and open to the public. Bostonians have tackled problems with mass transportation for the past 200 years. Explore the challenges of Boston’s early mass transit systems through artifacts, maps, and photographs! The talk will highlight archaeological investigations at the Metropolitan Horse Railroad site in Roxbury Crossing. See how horses pulled sleds and steam cars pushed plows during crippling winters, and teams of men pulled cars when horses could not! 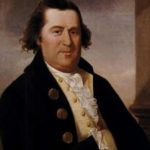 Come learn how our forefathers dealt with some of the same problems the MBTA deals with today, from crowding to crashes, and snow to strikes. 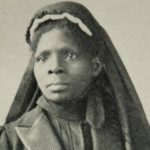 African Americans have participated in the military from the American Revolution to the present day, when the country they fought for denied them the most basic rights of citizens. Moderated by Barry Gaither, Director of the Museum of the National Center of Afro American Artists. Gaither will provide information on veterans with parks named for them in Roxbury-Carter Playground, Ramsey Park and Justice Gourdin Veterans Memorial Park. Dr. Chad Williams, author of Torchbearers of Democracy: African American Soldiers in the World War I Era will offer an overview of the long history of blacks in the military, including anti war sentiment and pacifism. Dr. Williams is Chair of the Dept of African and Afro-American Studies at Brandies University. Panel members sharing their own experience will include The Honorable Charles Walker, whose father was a Tuskegee Airman. Dr. Peniel Joseph, author of Stokely: A Life with Chuck Turner and Representative Byron Rushing, who both knew Stokely. Turner worked with Stokely in 1968 while forming the Black United Front. A lively conversation about Black Power, Stokely’s influence in Roxbury, and his legacy in light of today’s world and the Black Lives Matter Movement. Dr. Peniel Joseph is Professor of History at Tufts University and founding Director of the Center for the Study of Race and Democray. Join us Wednesday, January 21, 2015 at 7:00 pm at Haley House Bakery Cafe, 12 Dade St, Boston for The History of the Dearborn School, a slide show narrated by Barry Gaither, Director of the Museum of the National Center of Afro-American Artists. Barry will also share the story of Louis Mailou Jones, the most famous graduate of the school. Jones was an internationally known artist, a member of the Harlem Renaissance and a personal friend of Barry. 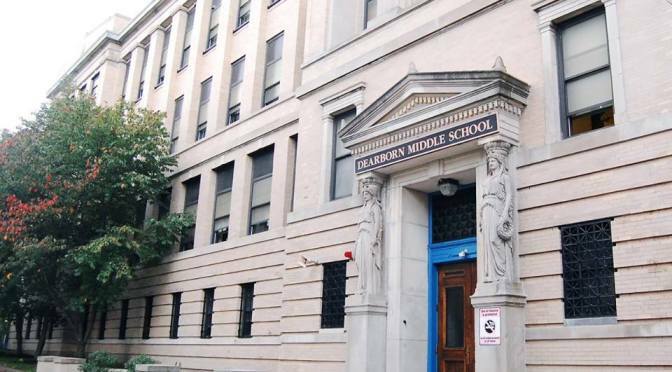 The Dearborn Middle School, built in 1913 has been home to four historic schools: The High School of Practical Arts, the first public vocational school built for girls; Girl’s High, Roxbury High, a peaceful school during the Boston desegregation order; and the Dearborn Middle School. The school is slated to be razed for the construction of a new STEM school (grades 6-12) on the same site. Neighborhood residents have joined together to oppose the demolition and are asking for the school to be built on a different site in Roxbury. We welcome everyone to join us for the slide show, short film and talk, and for open discussion after the presentation. The program is free – come early for dinner and get a good seat! Co-sponsored by the Roxbury Historical Society, Haley House Bakery Café, and the Roxbury PATH Forward Neighborhood Association. Join the the Roxbury Historical Society, Roxbury Path Forward Neighborhood Association and the Mount Pleasant Avenue Neighborhood Association on Saturday, October 25 for a free Architectural and Historical Walking Tour of the Moreland Street and Mount Pleasant Avenue Historic Districts. The 90 minute tour will start at 2PM at the Warren House, 130 Warren Street in Roxbury. In addition to showcasing examples of the district’s fine architecture, the tour will visit sites associated with Admiral John A. Winslow, a Civil War hero, authors Hamlin Garland and Epes Sargent and, reflecting important demographic shifts that began in the late 1800s, the politically influential Curleys and O’Neils. The tour will also highlight educational, charitable and religious sites, including the former site of Roxbury Latin School, Roxbury’s oldest public school building (now a church), the Lutheran Church built in 1923, the Carmelite Monastery in the Mt. Pleasant Avenue Historic District and the Dearborn School. Widespread community opposition to the proposed demolition of the Dearborn building, built in 1911-12 as the High School of Practical Arts, has inspired this tour. 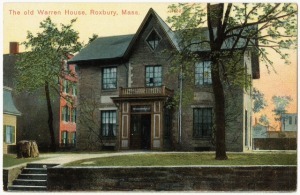 Architectural historian and preservationist Steve Jerome, tour leader, was first introduced to Roxbury’s historical resources as a School Programs Aide at the Historic Neighborhoods Foundation. 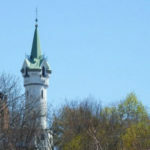 On the tour he will share some of his recent research findings on Roxbury architecture including new findings about the High School of Practical Arts and its neighboring structures. A reception will follow the ninety-minute walk. 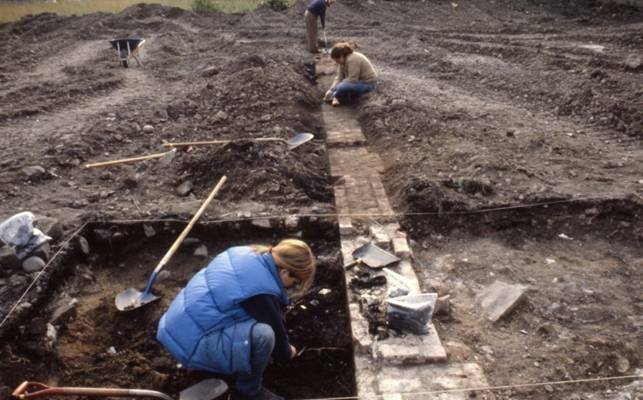 Before the new Orange Line was constructed, Archaeologists dug the site. Come find out on Wednesday, October 22 at 7 PM at Haley House Bakery Cafe, 12 Dade Street in Roxbury. Join us to learn about the archaeology of Roxbury’s Southwest Corridor! Archaeologists Beth Bower and Miles Shugar will present their work on these fascinating archaeological sites that were excavated in the 1970s before the construction of the Orange Line subway. Beth’s work uncovered a variety of interesting sites, including breweries, factories, foundries, and housing from the 18th-19th centuries. Miles will then discuss one of these sites, the Metropolitan Railroad Company Site, in more detail. Horse-cars and an electric street railway hub operated from 1850 to 1920 at the present-day Roxbury Crossing MBTA station. 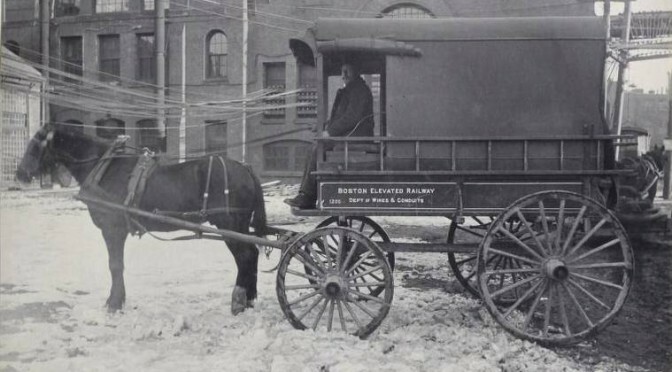 The archaeology of horse-car street railways and technological change will be illustrated through artifacts, documents, and photographs of Boston’s early mass transit systems. Haley House Bakery Cafe opens at 5 PM for dinner. This free event is sponsored by the Roxbury Historical Society and Haley House Bakery Cafe begins at 7 PM.